obert Farrell came to sacred music early. His mother, who had been certified by Rev. Carlo Rossini in the 1930s, was organist at Saint Kiernan Church in Pittsburgh. This is a position he would eventually take over, working first as director of the boys' choir, then assistant organist, organist and choir director. He attended Carnegie Mellon University, studying composition with Nikolai Lopatnikoff. He graduated in 1968 with degrees in both Piano Performance and Music Education. For 30 years he was employed by the East Allegheny School District, where he taught music to children from age 5 to 18. The majority of his time was spent as Choral Director for the Senior High School. "My retirement in 1998 at age 53," he writes, "made a lot of people jealous!" 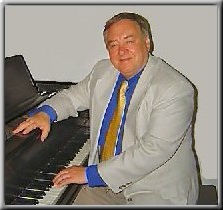 Robert has served at the following churches: Saint Kieran Church in Pittsburgh (as Organist and Choir Director), Saint Robert Bellarmine Church in East McKeesport PA (as Organist and Choir Director), Saint Patrick Church in East Brady PA (as Organist), and at Saint John Lutheran Church in Kittanning PA (as Senior Choir Director and Composer-In-Residence). In 1989 Robert moved the homestead (with wife Mariann and two children) to a 73-acre farm 50 miles north of Pittsburgh. He and his wife (also a choir director) worked together at Saint Patrick Church in East Brady. Robert is also Founder and Director of the Armstrong Community Choir. Currently, he and his wife are singing with the Pittsburgh Concert Chorale and the Saint Paul's Cathedral Choir, under the direction of Donald Fellows (Pittsburgh). "The cathedral choir loft is special to me," he writes. "While in college I had the honor to sing the Duruflé Requiem in this loft with Madame Duruflé performing at the Beckerath organ. It was her husband's glorious style of mixing modern harmonies with Gregorian chant melodies that inspired my efforts over the years."